Faiza Ashraf called the police and told who kidnapped her. The media didn't believe her. Norway is the best country to live in. No two opinions on that. And yes i know, we are world-class in gender equality. People keep telling us that right? And we are brainwashed to not question the notion. 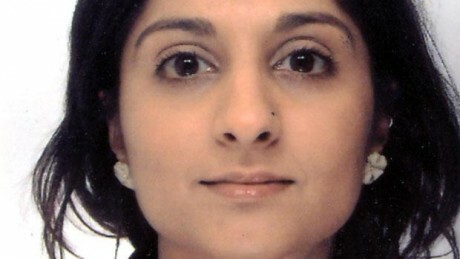 The murder of Faiza Ashraf in 2010. This beautiful 26-year-old, brutally murdered last year. She was of Pakistani origin. The community was shell-shocked. Sadly her murder was due to the patriarchal thought gone too far. A stalker had been harassing her for several years. She hated him, and didn’t want anything to with him. He asked drug addicts on the streets of downtown Oslo to throw acid on her face. (Throwing acid is what some men in Pakistan do, if they are turned down. No woman says no to a man ofcourse, so if she does, she has to be mutilated for life). No one agreed to this horrendous request. The man, a Pakistani norwegian himself, finally did the unthinkable: he hired a norwegian bodybuilder/small-time criminal to kidnap her. He did, and he murdered her. She was not found for three weeks. But Faiza was a woman of substance. Faizas will to live, to survive the unthinkable… When she was thrown in the trunk of the car, was courageous. She got herself loose from the handcuffs and managed to call the police from her cellphone. She was on the phone with the police for 45 minutes. She told who she believed was behind the kidnapping, described the Norwegian man who kidnapped her. She practically solved her own murder. The police hesitated in believing her. Nothing of this sort had ever happened in Norway. It took quite some time before the surveillance of her cellphone was put in place. Faiza is gone, but what happened to her, and how the media treated her is etched in my memory. I have analyzed the media coverage of her murder, and I am heartbroken. At one in time, while she still was not found, just a couple of days after her cry for help from the trunk of her murderers car, VG wrote a story which was close to character assassination. 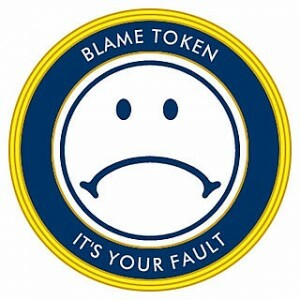 Essentially they blamed Faiza. She faked the call. She staged her disappearance. She was actually keen to runaway from her family. She had a secret boyfriend. She was fed up with her controlling parents trying to force her into a marriage. A “close” friend of hers told the police. VG got hold of the police transcripts. The story was front-page news. It was picked up by NTB (the original story was right there, in the Retriever archives, but cant seem to find it anymore. BUT the NTB copyright protected story was published all over. Like this link from Aftenposten), the main news agency in Norway and was plastered all over Norwegian media. The underlying thought was: a young woman can not have made that call from the trunk. Was she really that sharp and courageous? Her stalker was called “hopelessly in love” with her. Freeing him from all guilt. The poor fellow couldn’t help it. So if Faiza Ashraf was kidnapped/killed/stalked by him, she was to blame herself. Why didn’t she put an end to it earlier? There is a way in which women should behave, so if she is murdered, then she must have done something. So, the media should shred her private life into pieces. She has to fight for her innocence, post-mortem. Unethical and in bad taste. The underlying patriarchal thought, the blaming of the female victim… it is not something that only happens in the extremely patriarchal society of Pakistan. It happens here to. In the best country to live in. The world champions in gender equality. My illusion is shattered. It scares me. How the media treats victims who are unable to defend themselves. That fine line between the need to publish, and the duty to be considerate to the victims and her loved ones. It is a two-edged sword. The consequences can be devastating for the victim. The patriarchal discourse in Norwegian media is a disgrace, but it reflects the society. Every 4th woman has been subject to domestic violence in Norway. Yes, so before we pop the champagne, just take into account, in Norway a woman killed is at risk of being blamed for her murder. Ever so subtly, but there, between the lines…. in a news story in the leading tabloid of the country. Is it about me, or the story? I have a bundle of mixed feelings, going through my posts dating back to 2008.
Who is this woman talking about meatballs and tunafish, alternating the posts with life-changing movements? In one post I am teaching people how to make a channa chaat, and the next moment I am defending Marte Michelet? 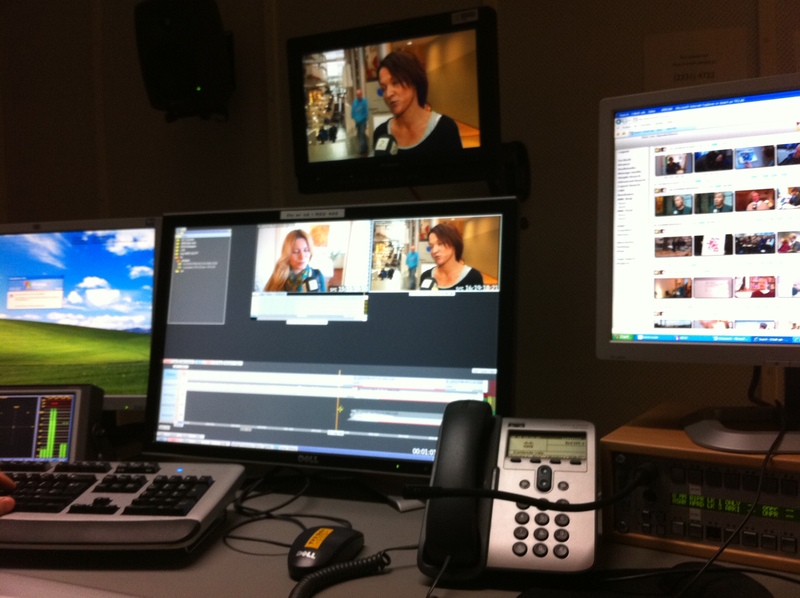 I sure was multi-tasking… layer-thinking. When too much is happening in your head…can the outcome be good? Are such people even sane? But I am sure there are dozens of lovely people around me who don’t. They are fed up by my world-saving mission. “Get back to those meatballs, Shazia! For heavens sake…. I want my wife back”. Cant blame him…my husband. But hey, once a journalist, always a journalist. Its a disease, and I am badly effected. If you know the cure, please feel free to share. Is there a off-switch for the braincells working overtime? The delusional notion that your words and thoughts are saving the world, changing lives? A lot have changed since my last post. But journalism has robbed me of my humor. That free-flowing pen. The straighforwardness. I did not weigh and measure my words before putting them down. Now I have to think through everything I write. It has be to short, clear, to the point, humorless, non-personel, not stepping on any toes. Because as a journalist you are supposed to hide your personal opinions in order to preserve your objectivity. It is suffocating. For an expressive person like me. But I guess my thoughts and pseudo-wisdom is not as important as telling the real story. Journalism is powerful! Will I post an other recipe? Without being the laughingstock of my journalist-friends and others who don’t know this “soft” side of mine…? I dont know. Maybe that girly-girl, super-cook Shazia will win over this no-nonsense, no-fun Shazia from time to time. In the meanwhile… the feminist-Shazia is having a field day with the superbly path breaking feminist book “Uncovered” . 19 muslim women, 19 stories, 19 she-roes. Three cheers to the fun, crazy, brave, beautiful, smiling, sharp muslim women of Norway. Time to Stand up against the attrocities in Swat! The reason I find myself on my blog again is the horrific public lashing of the 17 year old girl in Swat yesterday. There has been a public outcry in Pakistan…. and what a relief. That gives me great hope for Pakistan as a nation. Some pakistanies in denial blame the usual suspects: India, amerika and Israel. But the majority of pakistanies have had enough of these talibani lunatics! X-plosiv.no has started a petition, to be given to the embassy of Pakistan. “Stop the maddness in Swat”. Ultimatly it is the government of Pakistan which is reponsible for the safety of the pakistani people. We can not, and will not be passive bystanders whilst our beloved Pakistan is shredded to pieces by religious extremists. I can not believe a part of Pakistan (Swat) has been freed from the pakistani law to create their own barbaric sharia law legislation. Regardless of the date of the clipping. We as muslims and pakistanies in and outside Pakistan can not tolerate such inhumane acts in the name of Islam! If you understand norwegian, please read the link regarding the inhumane actions of the pakistani taliban, and how norwegian-pakistanies try to make a difference. Stop the madness in Swat! Those who haven’t tried a diet once in their life, please stand up! No one? I thought so. Well like the heading here suggests, I am a carb-junkie no more! For me personally, it is nothing short of a revolution. To cut a long story short; I have totally cut out fast carbs from my diet. Imagine a desi dinner without roti, naan or chawal (rice). Unimaginable isn’t it. Well naturally, I don’t eat lots of desi food anymore. Doesn’t fit with a low-carb diet. I hate the word diet. This is no “diet”. I have just changed my way of eating. I still am a foodie, and love delicious food. However the challenge now is to make tasty food without the white carbs. Not possible one would think. Oh but it is. Possible that is. I still make the same food as I did earlier. Instead of boiled, fried potatoes, pasta or rice we eat lentils and beans. Yes, that’s right. The daal we have hated since childhood. Never have I eaten so much daal in my entire life. And guess what: I love it!! Masoor daal puree, moong daal/channa tangy salad. etc etc. Lunch: A horrendously large salad with chicken/tuna and tinned beans. All the greens and veggies you love. OR fried eggs with backed beans. YUMMY! Dinner: Fish/chicken/meat with loads of veggies and some sort of a daal. Evning: omelete or 0.1 Yoplait yogurt with fruits or berries. I can’t tell you how healthy i feel. 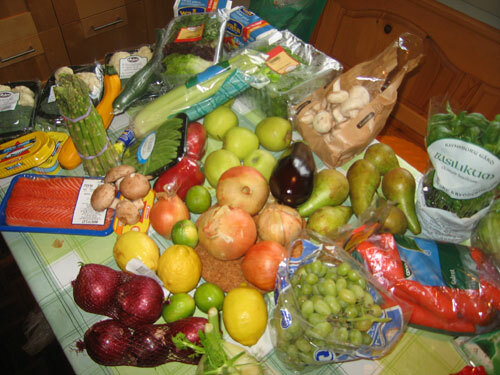 I eat bundles of omega3, nuts, fruits, veggies and lean meat. And ofcourse lots of olive oil. This is no “fat-free” diet. I eat as much as i want. But let me tell you not only do you get wonderful skin, and healthy tummy you also loose weight. The “diet” prevents sugarlevel raise and fall, hence preventing developing diabetes and helping those with diabetes. It keeps your colon super healty. AND you feel great. 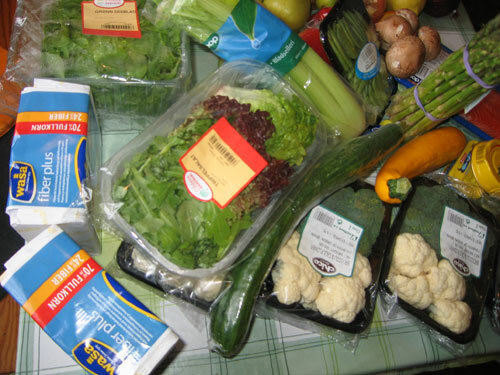 When we come home after grocery shopping our kitchen table is fludding over with veggies, fruits and all things healty. That makes me sooo happy! I am in this wholeheartedly. Lets hope it lasts forever. I will be putting up my low-carb dinners!!! Marte Michelet – who let the dogs out? Islamophobia is on a roll. Europeans don’t acknowledge it, but they are in it, head first. The continent with the most horrific of the crimes in recent history, the holocaust. 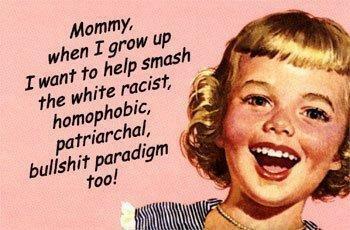 Has less to be proud of as the racism and fascism raises it’s head. Though they are in denial, as Europeans tend to regard themselves as super-beings. The most civilized westerners of the lot. They have at last found an enemy and how! There is no problem in the world they can’t pin on the Muslims. However the most intriguing part of the situation is self-glorifying and apparent lack of common sense. A woman of substance tells it like it is, in a national newspaper. Both her and the newspaper are of-course labeled “muslim whores”. Marte Michelet speaks of the raising islamophobia, happening at this very moment around Europe. The level of hatred and animosity against Muslims is taking the form of violent and non violent outcries against in most cases innocent fellow-citizens. Their only crime being their religion. Does this ring a bell anyone? Is history repeating itself, and are we being witness to a new Nazi uprising and a new holocaust in the making? The outrages out-pours to Marte Michelet makes you wonder. Who let the dogs out? The comments to her piece has crossed 720 and still counting! Whatever did the Muslims in Norway do to the Norwegians? Okay, so in some crime-statistics the immigrants are overrepresented. There are ofcourse things done by people with muslim believes which are disgrace. There are crimes committed by them as by any other person with or without the baggage of illiteracy, poverty and other social issues. As no-one with a normal mind would pin all Norwegians pedophiles because some of them were. Or no-one with a normal mind would label all catholic priests as child-abusers, because some were. But now every immigrant is automatically labeled a Muslim, and every Muslim is a wife-beater, terrorist and socially incompetent. Well, hold on a little. There are some striking resemblance between this and the extremists in Muslim countries blaming the west and USA for everything. It is quite ironic to see that the mob against islam is getting quite like the ones they “hate”. Another interesting aspect of this headless out-pour is that now every other Norwegian is a semi-mullah. To pin you down they have studied the quranic verses and hadiths more then you have. Now they tell you that as a matter of fact you are no real Muslim if you don’t know that quran states the you should kill all non-believers! Now we have semi-mullahs to tell us how our religion is to be practiced. Don’t be a fool and try to reason with them! How can you humbly state that 1,2 billion muslims don’t practice the quran word by word. There aren’t millions of “non-believers” killed due to their religion. The obvious fact that 99% of the 1,2 billion muslims live a quite peaceful and “normal” lives, does not go down well. One wonders, and rightfully so. Who are the real extremists? How does two wrongs make a right? The name-calling and harassing of Marte Michelets is no pretty sight, and the ambassadors of freedom of speech, democracy and “good” human values should truly be ashamed of themselves. There is no difference in the narrow-minded, illogical extremist views of a mullah in Pakistan or a pseudo-mullah i Norway. It is as sad to see the hatred expressed in the 720 comments posted to Marte Michelets story as it is to hear Osama Bin Laden talking. This is yet another healthy dish with omega 3 fatty acids and vitamin D. And who does not love a wholesome, healthy and delicious dinner? This is a simple and inexpensive dish, and I LOVED it. Take the tuna out of the boxes and make flakes of it in a bowl. 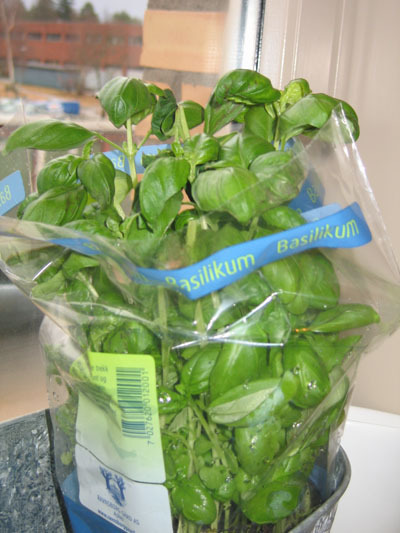 Crush the basil to a paste with salt and pepper, mix it well with the zest of one lemon and the juice. Now add 2-3 tbs of EVOO. 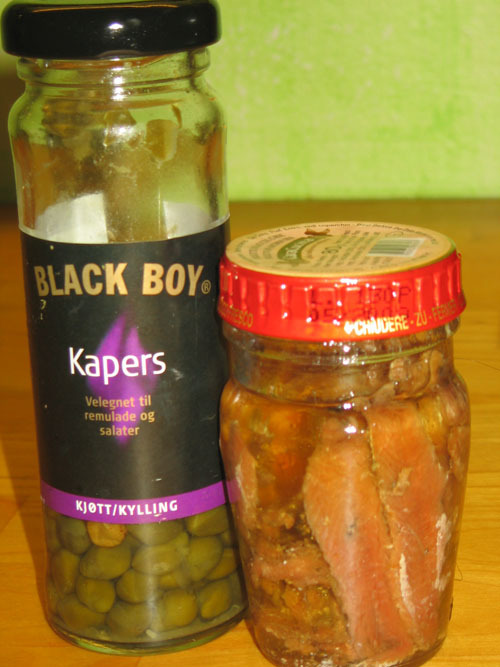 Use this mixture to marinate the tuna. In a pan add some EVOO and the sardines, fry them till they melt away. Now add the finely chopper garlic, chillies and the capers. Fry on low heat for 2 minutes, add tomatoes and tunafish. Cook for 5 minutes and put aside. 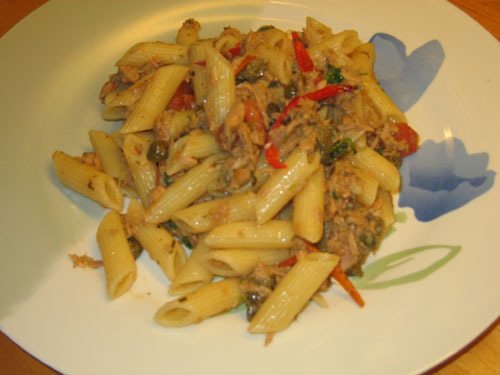 Cook some pasta, then take the tunafish and mix it well with the pasta. Add some chopped coriander. As you can see, this was easy breasy! The taste is sharp and tangy, the tunafish comes out smooth and lovely! 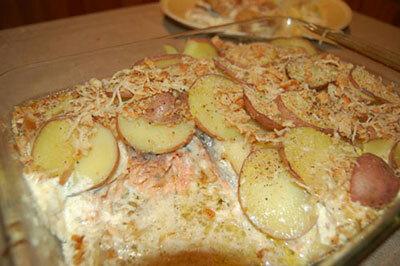 Baked Salmon with sweet onion and fennel! Haven’t been posting that much on my site lately. 😦 Have not been feeling well, so motivating myself to writing was hard! I have been making dinners though, but not feeling for taking pictures of them. Regretting that now, but I made this baked salmon a couple of weeks ago. My sister made a comment upon eating this dish…..she said ours must be the most frequently fish-eating desi family in Norway. That was a huge compliment! I like to believe that I give my children healthy proper food to eat, and what is healthier then red fish? I found this recipe in Jamie Oliver cookbook, and I must say that the combination of ingredients was unusual but absolutely lovely! I thought fresh Fennel would be hard to find, but I found it in my regular grocery store Rema 1000. Cut potatoes in slices and boil them for a couple of minutes in salted water, and put them aside. Now slice the onions and fennel. Take good quality EVOO in a skillet and add garlic, onion and fennel and cook on low heat with lid on for 10 minutes till it’s soft and jam-like. 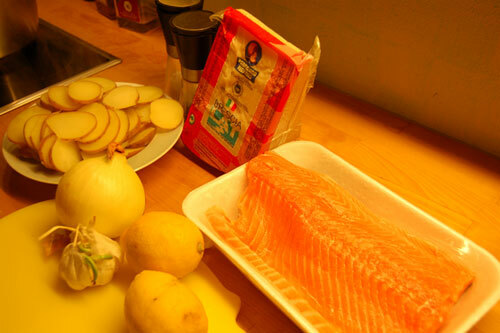 Transfer the “jam” to a baking dish, lay the salmon on top (remember to thoroughly salt and pepper the fish) and cover with pre-cooked potatoes. Now in a bowl mix the cream, Parmesan and salt and pepper and pour it over the dish covering it nicely. The bread crust comes on the top and in the oven it goes. Bake in oven on 200 degrees Celsius for 30-40 minutes. (check out that the fish is cooked through). 5 minutes before taking out the bake use a little more Parmesan to grate the dish! And voila, you have the most gorgeous baked salmon u ever tasted. The fennel does the magic!